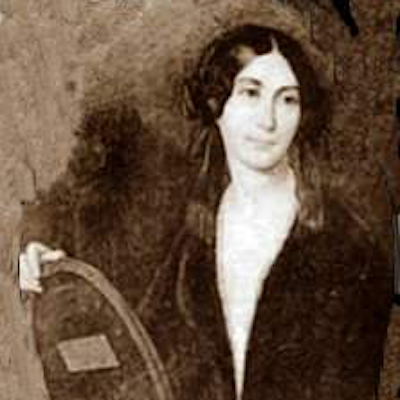 Louise Ackerman (1813–1890) was a poet born in Paris as Louise-Victorine Choquet, who spent her younger days in more rural surroundings near Montdidier, southeast of Amiens. She studied in Paris and Berlin, and then married Paul Ackermann, an Alsatian philologist. She was widowed after two years of marriage and moved to Nice to live with a sister. On the fringes of the Romantic movement in France, she wrote about the injustices of life and angst at the passage of time. In 1855 she published Contes en vers, and in 1862 Contes et poésies. In 1874 she published Poésies, premières poésies, poésies philosophiques, a volume of somber and powerful verse, expressing her revolt against human suffering. Upon her death in 1890, she left this slim body of verse as well as a volume of memoirs.